At the moment I’m currently following one of the drivers in the Supa Drift national championship, Eric Van Eyessen, in his Chev SS Lumina for Kabang Media, so when I heard I was tasked with photographing Paolo’s 200sx I could not wait! On arriving at Paolo’s work, where he keeps the car, I was greeted by Paolo aka ‘Die Klein Porra’, with the Nissan aka ‘Tallulah’ warming up in the background, waiting patiently to go burn some rubber and scare some of the locals. After deciding on a location we headed off with Paolo in trial along with a ton of boosting and dumping going on. The Nissan was looking mean as ever in the rear view mirror, not something you see every day. We eventually managed to find a cool spot and I started snapping away. This really was an awesome car to photograph as there were so many little details everywhere. With nearly 90 degree’s of lock on the wheels, thanks to the custom suspension setup this car can achieve some serious angles in the corners. Unfortunately we were on the street and we could not achieve such angles, but when he turned the wheels full lock you can see immediately this car can go very sideways indeed. 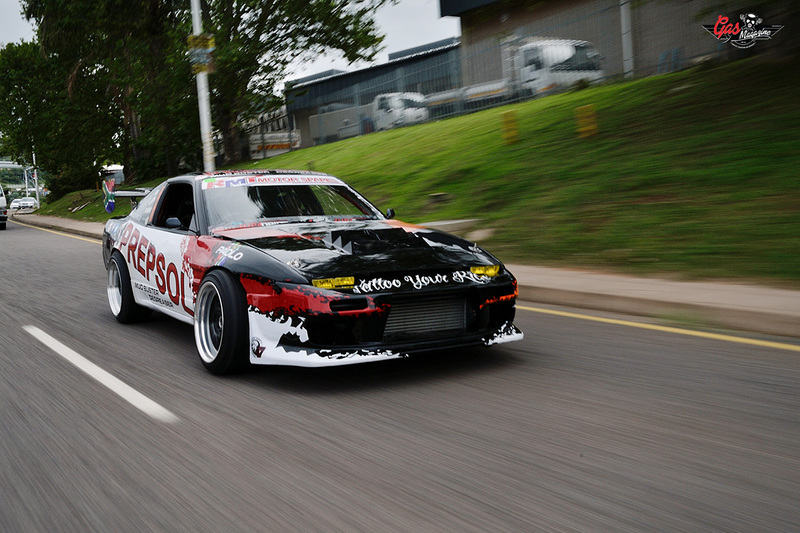 This is not your everyday run around car, it’s a full on drift machine, stripped out and ready to race. Looking inside the car you can see it’s all business, the first thing that catches your eye is the large custom built handbrake lever sticking up next to the shifter, with which Paolo uses to lock up those rear tires and initiate the drift at some pretty high speeds. Two bucket seats with full race harnesses keep you welded to the car as it slides its way around the track, overall a real rough and ready race car and that’s awesome! 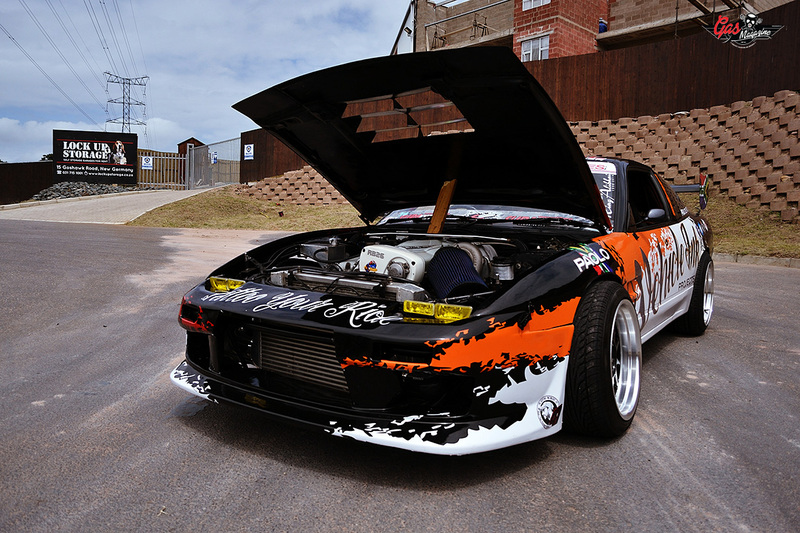 What makes this car stand out apart from the loud wrap, is that it’s the only 200sx running a RB30 Engine. Which is a 3.0 litre bottom end with a GTR RB26 Head, this thing sounds mean and boosts like crazy! 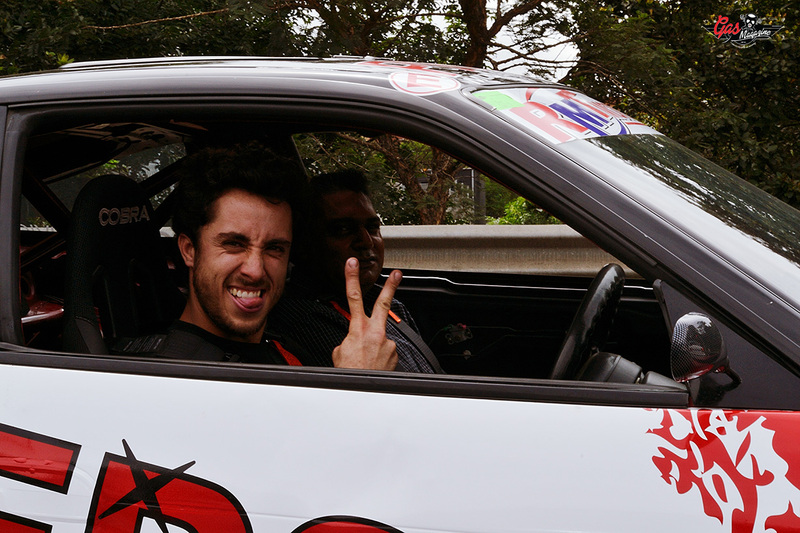 Paolo competes with his car in the Supa Drift national championship and placed 4th overall in South Africa, this man sure knows how to drift a car. 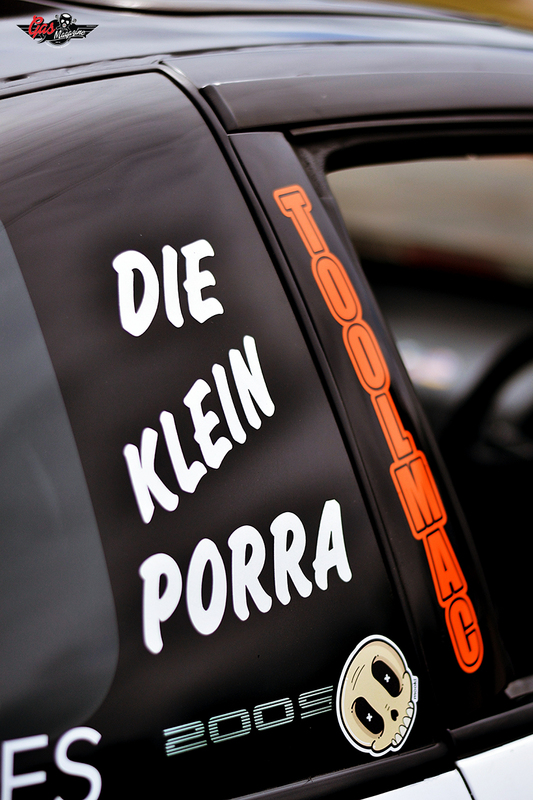 Paolo started his racing career in a Mazda Capella 12A Rotary, you can just imagine that car screaming around the track, it must have been awesome! Then he moved onto a BMW E30 and now he’s driving his 200sx which he says handles like dream and is almost perfect for drifting. His favourite mod on the car has to be his angle kit, which allows him to achieve that insane turn angle and hold almost any slide. At the moment he is busy installing a new clutch and doing some “Top Secret” modifications to the rear of the car, in order to get it ready for the first event of the year. Being a lover of JDM and a drift fanatic, the one place he’d love to drive his car is at the Ebisu circuit in Japan. 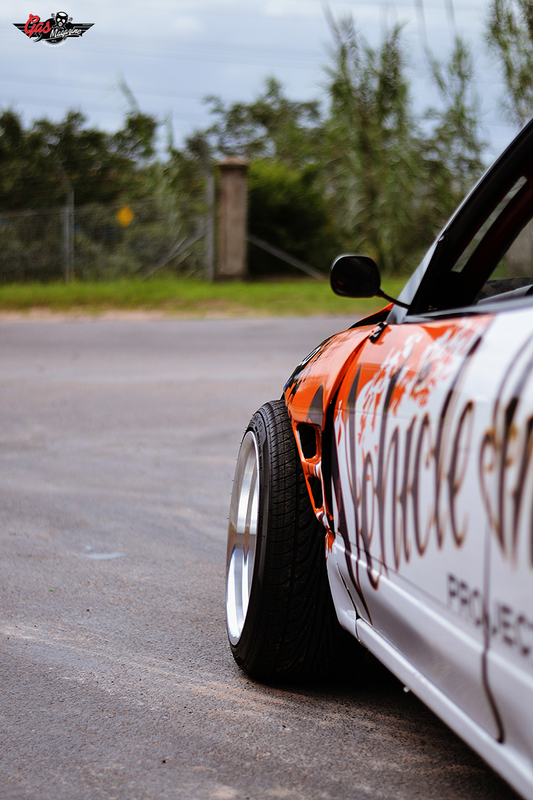 The home of drifting. Starting out with a Mazda Capella rotary, to a BMW E30 and finally a Nissan 200sx, with his dream car being a Honda S2000, it’s clear that Paolo has good taste in cars, and with the first drift event fast approaching we wish him all the best for the season to come. Be sure to follow Paolo on Instrgram: @Paolog031 or Facebook: [031 drift team] and show your support for this really talented driver.